Happy Wednesday!! It's always fun to go into the archives and be reminded of things I have posted about in the past. I realize I haven't gone into the archives in a few months, so I thought I would do so today. So, what do we have from the archives? Campfire Cookies!! 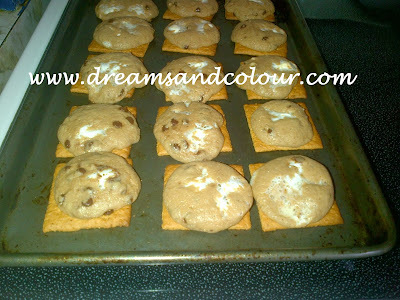 These cookies are not only delicious, but they are super easy to make!! The recipe can be found here. Enjoy!